Consider you build a product or are planning to start a new service. Once your product or the service is ready, you plan to deliver it to the end user. Now, here’s the tricky part, the way you deliver your product or launch it for the common users is gonna decide the sales of your product or service. This is an age where marketing is a crucial part for any kind of product or service. If you can’t sell your product or service, it will never get the kind of recognition & applauds it deserves. Looking at the current trends in the industry, one can easily make out what is the impact of marketing on the product or service. Dhoom: 3, being a movie full of mistakes grossed crores of rupees on the box office & on the other hand a beautiful & very well pictured movie like Mumbai Meri Jaan couldn’t even seek the attention of a common man. If you are a regular reader of my blog, you might remember that I had a mention of this earlier as well. What went wrong with Mumbai Meri Jaan? Yes, of course! The marketing of the movie should’ve been taken seriously. 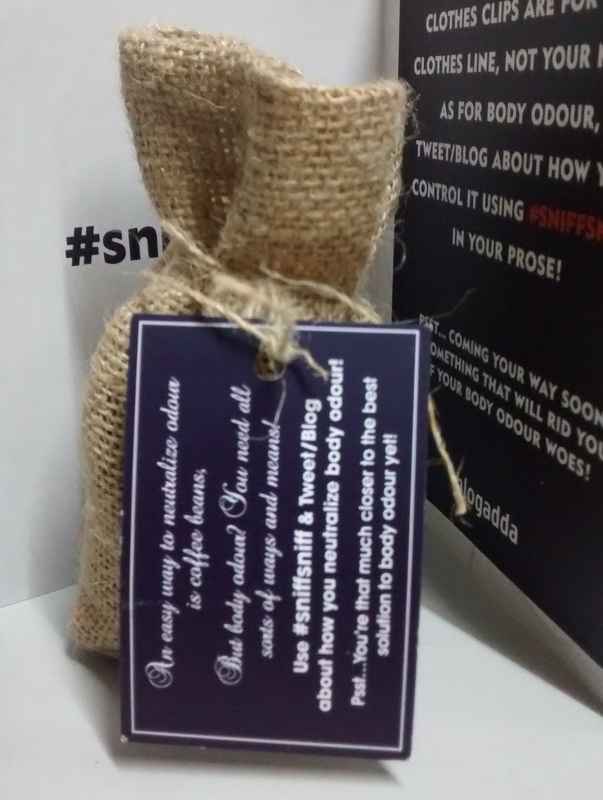 Recently, I got to be a part of BlogAdda’s #SniffSniff activity. Doing justice with the name, BlogAdda didn’t reveal much as of what was supposed to be done being a part of this activity. It all started with the first package that was delivered to my home. The first package had a Clothes Clip along with this message asking me to #SniffSniff & find out what I was being headed towards. I could guess it had something to deal with the foul odour. After a day or two, I received this second package which had a coffee bag inside it. Generally, coffee beans will be used to make some good coffee, but that’s not all what can be done with those coffee beans. Who doesn’t like coffee aroma? I like at least, meaning I may use it to keep the room scented with coffee aroma. I then thought I was going into the right direction. 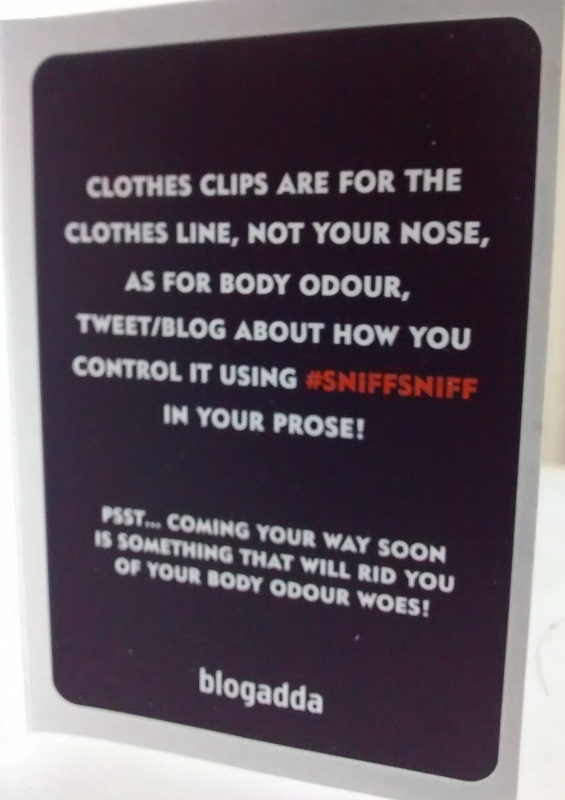 I kept sniffing, I kept saying to myself, “I’m using my investigative skills to uncover the mystery of #SniffSniff at BlogAdda.” Soon, the third package arrived. This was a little weirder one. It had a mask with this message inside it. I had guessed it was about some deodorant that would smell good, real good. This mask confused me a bit. Fourth & the final package revealed the product. As I had guessed, it turned out to be a deodorizer. Deodorizer is something that not only makes you smell good but also prevents your body from secreting false odour. 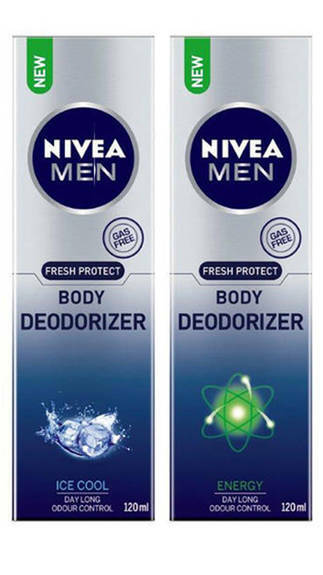 The product is named as Nivea Men Body Deodorizer. This deodorizer is available in two fragrances viz., Ice Cool & Energy. This is how Nivea along with BlogAdda revealed or launched their new product. This was a new approach towards marketing. Time will surely tell how did this idea fare. 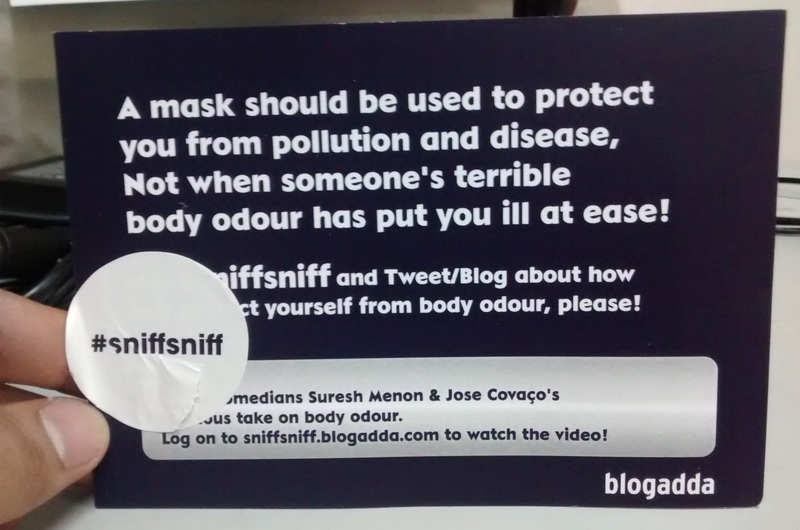 Whether this does good or not, one thing is sure that people who participated in it won’t forget #SniffSniff activity & hence Nivea’s Deodorizer. Keep innovating, keep progressing. And that’s the bottom line for this post.